See marital distress from an attachment perspective. Help partners reprocess the emotional responses that maintain marital distress. Shape key new interactions and bonding events. Watch real couples in a demonstration sessions. Practice key skills and interventions with assistance and feedback. Research studies find that 70-75% of couples who use EFT move from distress to recovery and approximately 90% show significant improvements. "Throughout the externship you get hands-on experience with in-the-minute critiques from professionals who know exactly what they're doing and they are guiding you as you're trying out new skills. They give constructive criticism that is very helpful, and feels supportive and encouraging." Refreshments, including coffee and water, will be provided in the morning and afternoon. A study manual is included in the cost of registration and will be provided at the event. 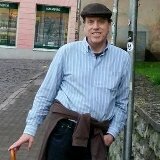 Jim Thomas is a Certified Emotional Focused Couples Therapist, Supervisor and Trainer based in Denver, Colorado. In addition, Jim is a Licensed Marriage and Family Therapist, EFT Therapist, an AAMFT Clinical Fellow, AAMFT Approved Supervisor received a Master’s Degree in Clinical Psychology from the University of Colorado at Denver. He is currently the Director of the Colorado Center for Emotionally Focused Therapy. From 1998 to 2002, Jim served as the President-Elect, President and Past-President of the Colorado Association for Marriage and Family Therapy and was elected Chair of the Council of Division Presidents for AAMFT. He has also served on the national board of directors for AAMFT. Jim has also served as the Executive Director of the Denver Family Institute. Currently, Jim provides EFT trainings in workshops all over the United States and offers HMT Workshops to Denver Police Department Officers and their significant others. 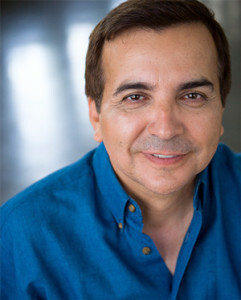 Joe X. Cantu, MA MFT is a Certified Emotionally Focused Couples Therapist, Supervisor and Trainer. Joe currently resides in Austin. He received his Master of Arts in Psychology from Antioch University in Los Angeles and a BFA from Southern Methodist University in Dallas, TX. Joe is the founder of the Austin Center for EFT, North Texas EFT Community and the San Antonio Community..
Joe received his clinical training at The Maple Counseling Center in Beverly Hills, CA, and worked with the Cedars-Sinai Psychological Trauma Center providing group and individual therapy to elementary school children who suffered or had been exposed to severe trauma. Joe currently maintains two practices, one in Austin and one in San Antonio, TX. Joe is English/Spanish bilingual and supervises EFT therapists in the United States, and throughout the Spanish speaking world..